1. 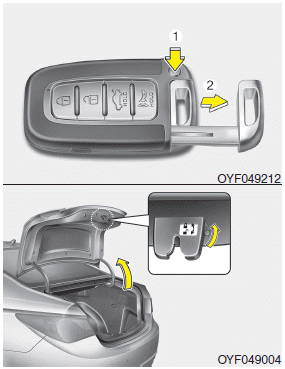 Press and hold the release button(1) and remove the mechanical key (2). To reinstall the mechanical key, put the key into the hole and push it until a click sound is heard. In this position the trunk will open with the trunk lid release button or smart key.